Paul Donald O'Dell Sr., 93, died on Friday, June 20, 2008, at his home in Chesapeake Beach, Maryland, after a brief illness. He was surrounded by his loving family and his dear greyhounds. Paul was born on February, 11, 1915, in Greenbrier County, West Virginia to Joseph and Verna Faulkner O’Dell. The O’Dell family had emigrated from Ireland to settle in that region of West Virginia sometime in the mid-1600s to become one of that area’s original pioneers. Paul Donald O’Dell Sr. was the last surviving of seven siblings. When he was 7, his mother, Verna, died during childbirth. Thereafter, he was raised by his late aunt and uncle Joseph Camden Zopp and Lona Katherine Moore Zopp and cousins Frances and Faye. In 1930, at the young age of 15, Paul struck out on his own and moved to Washington, D.C. On December 7, 1941, while Paul was working at the venerable Hay Adams Hotel, F.B.I. agents entered the hotel and asked to be directed to the room where a delegation of Japanese diplomats was meeting. Unknown to him—and most people at that time, including the diplomatic delegation—the Japanese had just bombed Pearl Harbor. Within a month after that he enlisted and began serving his country as a member of the U.S. Navy. 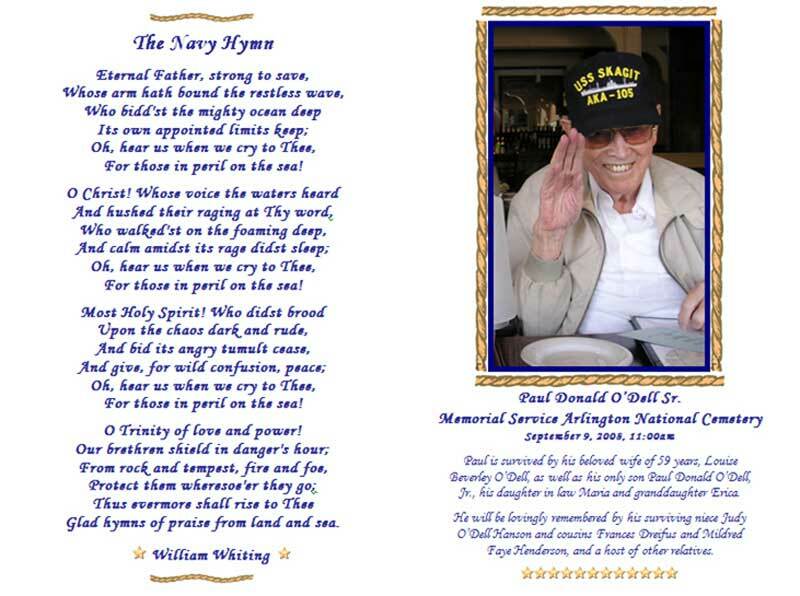 Paul proudly served his country in World War II as a Gunners Mate on several ships in the armed guard detachment and then aboard the USS Skagit AKA 105—an attack cargo vessel. 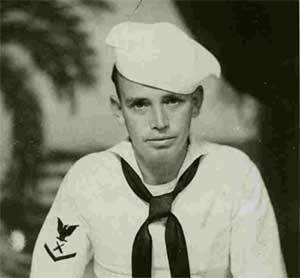 It was aboard the USS Skagit that, four years later, on September 2, 1945, Paul witnessed the surrender by the Japanese Delegation in Tokyo Bay. He later became a member of the USS Skagit Reunion Association and Armed Guard Association. Paul completed his service in 1945 and returned to Washington, D.C., where he met and married Louise Beverley, originally from an old Southern family from Southwest Virginia. He continued to work at the Hay Adams Hotel and was promoted to Superintendent of Service. After 37 years of employment, Paul retired from the Hay Adams Hotel. After his retirement, he became a proud member of the Laborers’ International Union of North America (LIUNA) at its Washington, D.C. headquarters for the next 17 years. Beyond his commitment to work and serving his country, Paul served in various leadership roles, including serving as a lifetime member of the B.P.O.E. (Elks) Lodge in Fairfax, Virginia. He was an avid outdoorsman who enjoyed hunting, fishing, golfing and bowling. He was a lifelong Redskins and Senators’ fan going back to the days of Sammy Baugh and Sonny Jurgensen. Paul is survived by his beloved wife of 59 years, Louise Beverley O’Dell, as well as his only child Paul Donald O’Dell, Jr., his daughter-in-law Maria and granddaughter Erica. He will be lovingly remembered by his surviving cousins Frances Dreifus and Mildred Faye Henderson, his niece Judy O’Dell Hanson, and a host of other relatives. Paul will always be remembered for his good nature, his bright smile, the twinkle in his eyes and—most important—for his love of life, family, friends and his country. Paul O'Dell's Internment Photos, Tuesday, September 9, 2008, at Arlington National Cemetery.